Golf Course Views! New option to build by Airhart Construction. 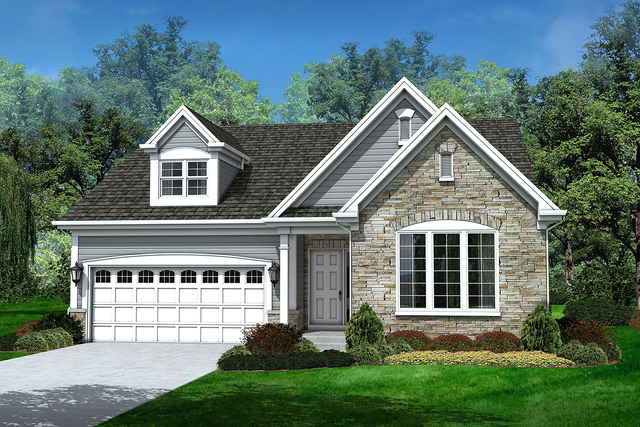 This Custom version of the popular Oakfield plan includes a screen porch. Fisher Farm offers a townhome life-style without attached walls. HOA provides the landscape management and snow shoveling. Too many amenities to list including a Full basement, Custom kitchen with stainless steel appliances, long island & granite, Low maintenance stone and Hardieplank exterior, Architectural grade shingles, Pella low-e windows, Nu-Wool insulation, 95% efficient furnace and AC, Energy Seal, Paver Patio, Energy Rating, Deluxe landscaping and much more. Custom changes and more floor plan options are available.